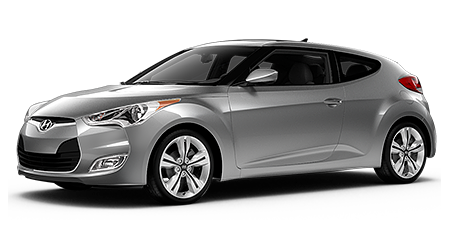 When you need a small and compact car look to the 2016 Hyundai Veloster! At Jim Burke Hyundai, you'll see why this car is amazing! Located at 1424 5th Avenue North, Birmingham, AL Jim Burke Hyundai serves Hoover, Tuscaloosa, Talladega, and Jefferson County. The 2016 Veloster more affordable and more efficient than the GTI! The MSRP for the 2016 Hyundai Veloster starts at $18,000 while the MSRP of the Volkswagen GTI is $24,995! The MPG rating on the Hyundai Veloster is 27 city /35 hwy while the GTI has a rating of 25 city / 34 hwy. That's $7,000 you are saving right off the bat and much more savings every time you fill up the tank of the Veloster! Interior features include a Panoramic tilt-and-slide sunroof, air conditioning, power windows and door locks. Drivers window auto-up, 60/40 split fold-down rear seatback for extra storage, premium cloth seating, 6-way adjustable driver seat, one-touch triple turn signal, Metal paint interior accents, piano black interior accents, center-stack-mounted 12" volt outlets for charging your electronics, Sunglass Holder, Tilt steering wheel, exterior temperature display, Bluetooth® hands-free phone system, Smartphone/USB and auxiliary input jacks, 450-Watt Dimension audio system with 9 speakers and external amplifier and subwoofer, 7-inch high-resolution LCD touchscreen with rearview camera, and a Navigation system. 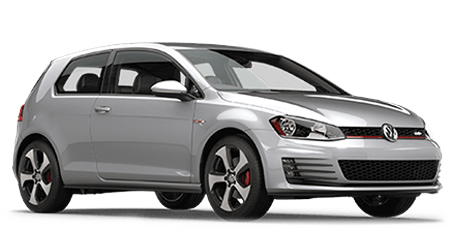 The Volkswagen GTI offers cruise control, electric power steering, remote trunk release, audio controls on steering wheel, eight speakers with AM/FM stereo, interior air filtration, air conditioning, and dual illuminating vanity mirrors. The 2016 Hyundai Santa FE comes with a 10-year/ 100,000 Mile powertrain warranty. Other warranties include a 5-year/ 60,000 Mile New Vehicle Limited Warranty, 7-year / unlimited Miles Anti-perforation Warranty, and a 5-year/ unlimited miles 24-hour roadside assistance. The GTI has a 3year/36,000 Basic warranty, a 5 year/60,000 mile drivetrain warranty, a one year/10,000 free maintenance warranty and a 3 year/36,000 roadside warranty. If you're looking to save a lot of money and want a compact car with excellent fuel efficiency the 2016 Hyundai Veloster is the perfect car for you! Come to Jim Burke Hyundai today for your incredible new ride!